At Entasis Asset Management, we believe that a methodical research process and a deep understanding of investments are necessary to build high-conviction portfolios, which are the foundation for risk-adjusted outperformance relative to the broad market over a complete market cycle. We utilize a combination of bottom-up investment manager and security analysis, along with top-down macro analysis to build optimal risk-adjusted portfolios. Our risk-conscious, diversified approach may invest in actively-managed equity, fixed income, alternative and mixed-asset investment products and liquid, individual securities. Portfolios are constructed through the implementation of our Core / Completion philosophy and incorporate each client’s tax situation, investment goals, time horizon and risk tolerance, among other factors. 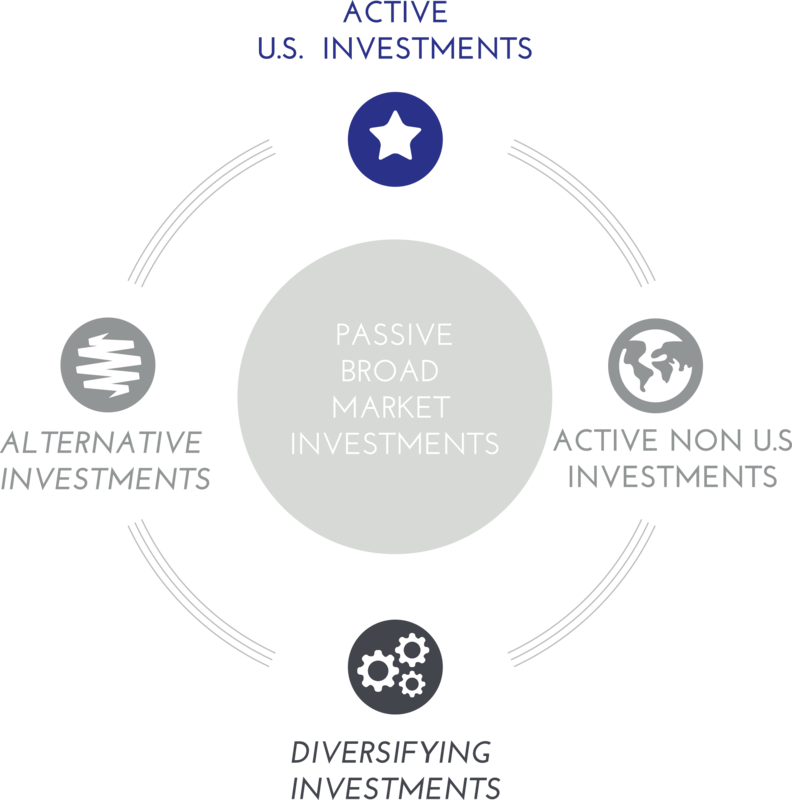 Our Core / Completion philosophy was developed over time through extensive research into broad asset classes, sub-asset classes, interaction of those asset classes with one another, and the probability of active manager success over a complete market cycle. All of our asset allocation decisions rely on our investment manager research process, individual security research process and our decision making structure for investment vehicles.